After you have taken a look at the previous three mandala, lets move forward to take a quick look at the fourth in this collection. Now, that looks much better doesn’t it! 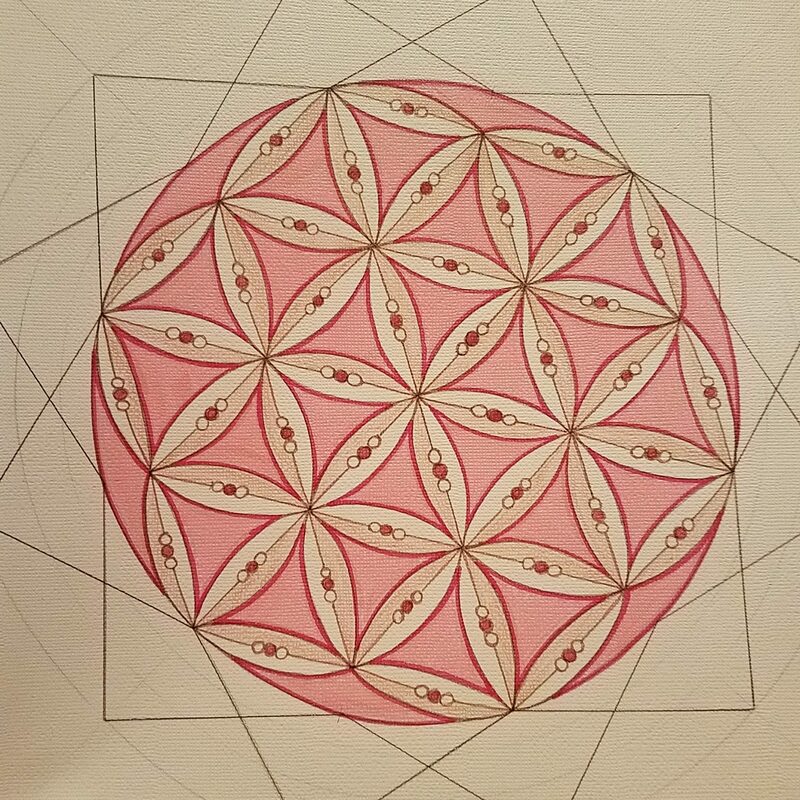 I had to revisit some sacred geometry videos on YouTube to remind myself the correct way to actually draw the flower of life. 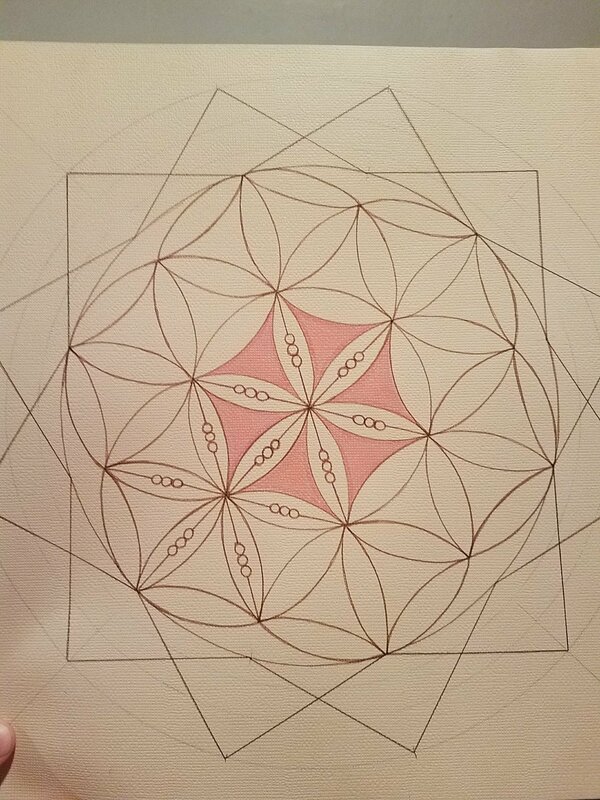 After I completed the flower of life, I wanted to ad points all the way around to keep in with the theme of the collection, introducing the softer sides of triangles. This is the point when I decided pink was most definitely the color of choice here. I do need to mention that I am using the Sepia Copic Collection for the lines. As you can tell, they are softer than my usual black. I was really trying NOT to use blick liners for this entire collection. The pink is a Tombow Dual Tip marker that filled the area perfectly! I had two different shades of pink and they paired nicely. Since I had two shades of pink, I decided to do the same deal with the brown. 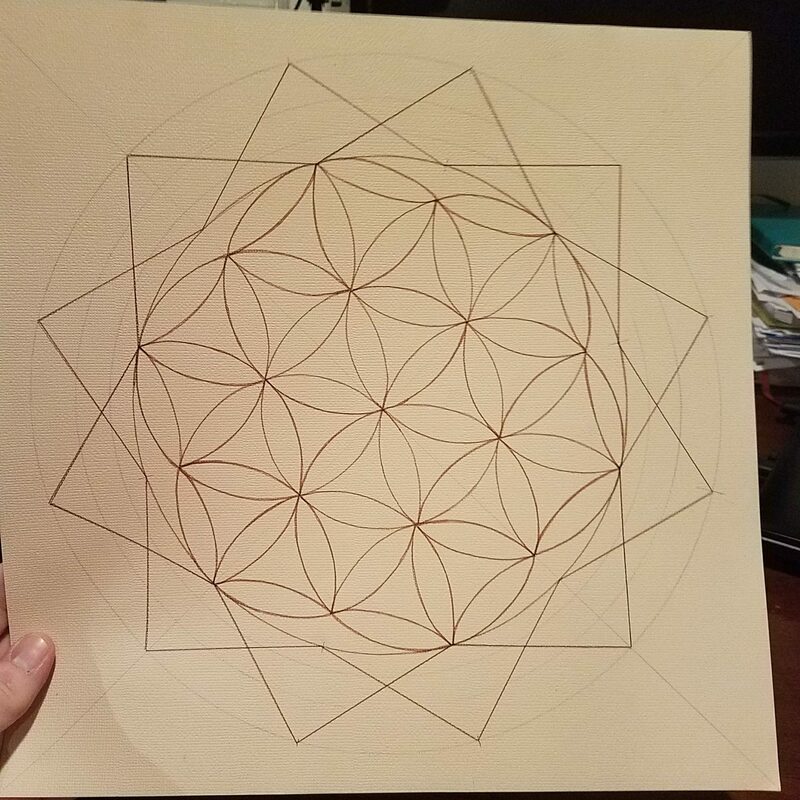 The brown shading was done with a color pencil. I thought that it gave just a tiny little element that gave the whole thing dimension. This is also where I decided to use some metallic paint pens I had. I wanted specific areas to pop out more than others, so I either outlined them or filled them in completely with the metallic pens. I used gold and rose gold throughout. After seeing the finished project, I absolutely fell in love. it was my favorite. Maybe I chose these colors because I completed it in the month of February when love is in the air. Either way, I could not be happier with the results. What is your favorite part of this mandala? 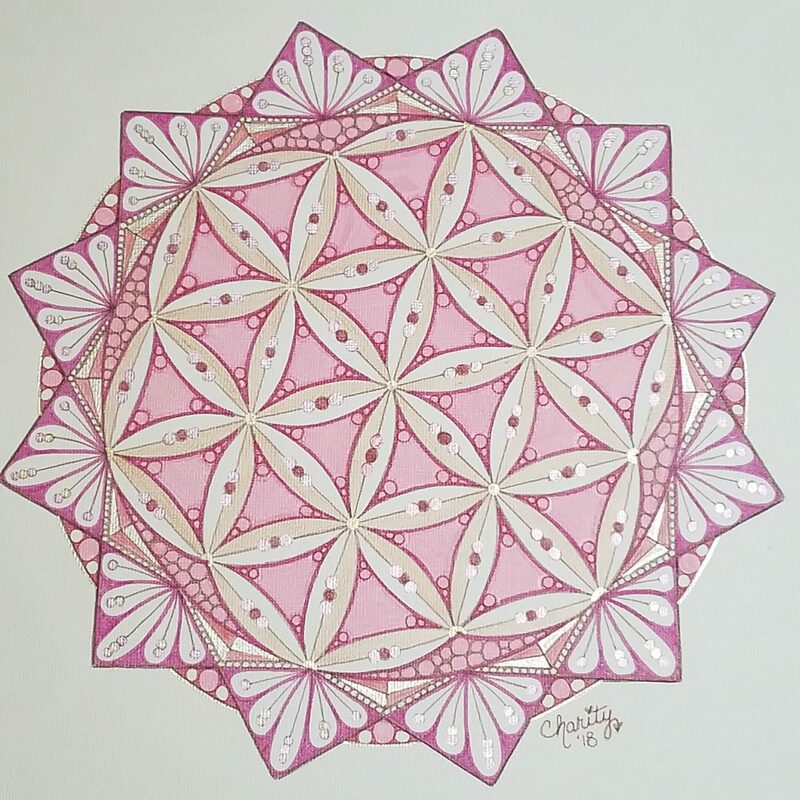 Do you have a favorite mandala in this collection so far? Let me know in the comments below!